Disclosure: Candlewick Press sent me these books in exchange for an honest review all opinions are my own. Looking for an interesting read for your middle schooler? These two novels by Laura Amy Schlitz answer it!! They are both set in early 1900s and both have a poor girl as the main character and narrator. We will start with A Drowned Maiden's Hair. In this story Maud Flynn is an orphan. Her older brother and younger sister were adopted but the family would not take Maud. Maud is known at the orphanage for trouble. When the Hawthorne sisters come to adopt a young girl, Miss Hyacinth discovers Maud and decides she is perfect. However the Hawthornes are not adopting to have a child as much as that they need a child for help with their fake seances. 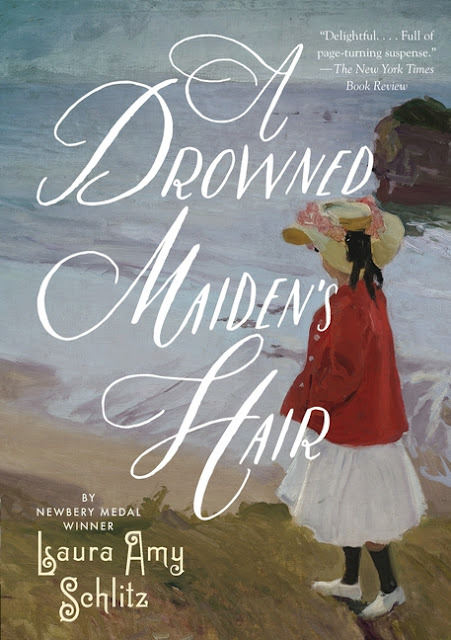 Maud learns a lot while trying to be good for the three Hawthorne sisters and learns even more when she gets to know the woman the sisters are trying to "contact" her dead nine-year-old daughter. It is a tale of scandal and more as well as lessons about parental love. This tale is engrossing. Once you get into the book there is a mystery about it. For quite awhile it is why does Maud have to be a secret child. How is she going to help these bizarre sisters. 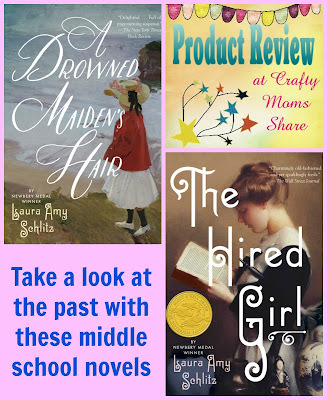 I can see a middle schooler or older loving this look at another time period and way of life. It would also bring about great discussions with questions like "Was Maud better off in the orphanage or as the Hawthorne sisters' secret child?" It brings up questions of morals and what is really needed in life. 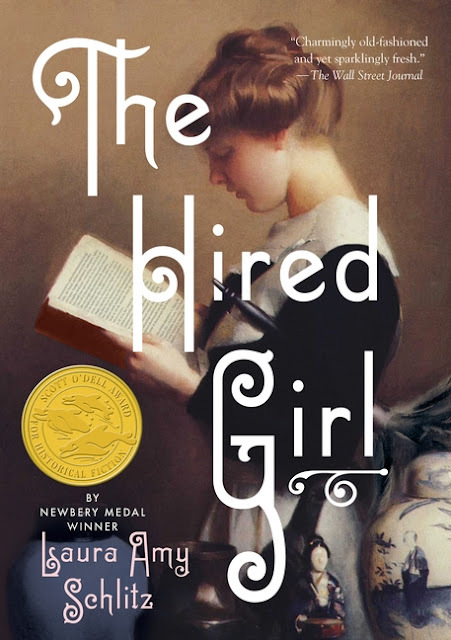 Our next book is The Hired Girl. This book is the diary of Joan. Joan is a farm girl who lives with her father and three older brothers. Her mother recently died and her father pulled her from school since she was needed to do the women's work. Her mother wanted her to become a teacher so she wouldn't get stuck in marriage. Her father was pretty awful to Joan. One day Joan decides she needs to escape and runs away. She ends up in Baltimore and is taken in by a Jewish family. She lies about her name and age. The family soon discovers she is a hardworker and loves to read. They allow her to read the books in their library at night and give her Sunday mornings and Tuesday afternoons off. Joan wants to be a good Catholic since her mother was Catholic, but her father stopped believing in God after a bad harvest and forbid Joan to go to church. This book brings in Joan's discoveries of the differences between Jewish and Christianity as well as recognizing anti-semitism. She is also a fourteen-year-old discovering the world and life. She has very different relationships with each member of the household. It is a coming of age story with a rush to grow up as a hired girl and figuring out the differences between the religions and stations of society. It is a wonderful tale. I hope you will check out both of these books. Be sure to check out our review of Laura Amy Schlitz's picture book, Princess Cora and the Crocodile as well!